Some of you know that I'm getting married in June; this is the part where I thank God for Pinterest. My mind is full of ideas of how I want our wedding day to look, and Pinterest has the images that bring my ideas to life. Fortunately, (and unfortunately) I have such a good idea of what the day will look like, there are some wedding ideas that I know will not make an appearance on our day. So Wednesdays will be the day I feature my favorite rejects of my wedding planning! 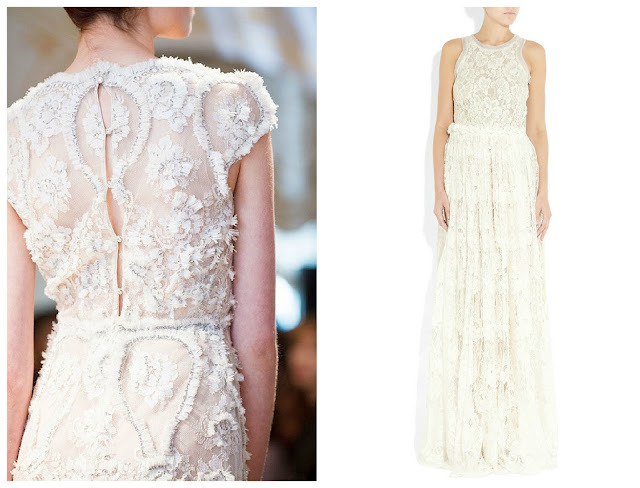 Sarah Seven wedding gowns are perfect. nontraditional wedding and engagement rings are my favorite. 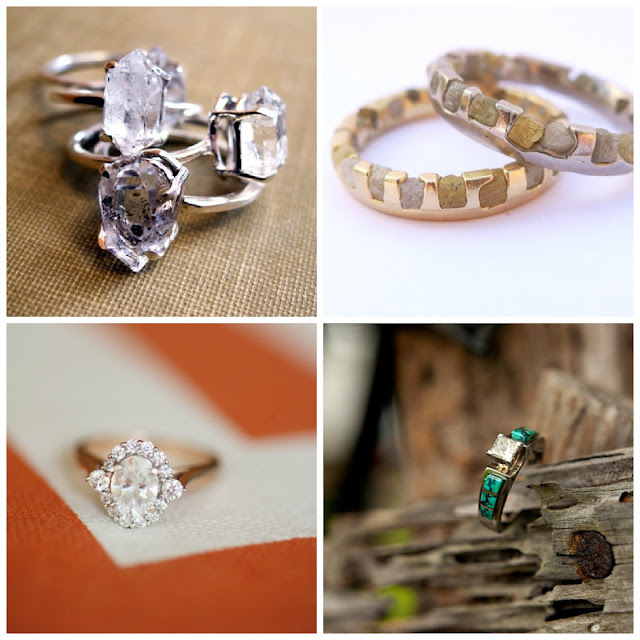 rough & raw cut diamonds, rose gold, and turquoise accents are simply wonderful.